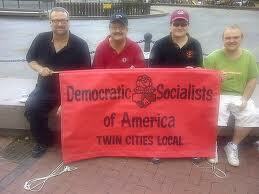 At Least 15% of Your Elected Congressional Servants are DOCUMENTED Socialists…Want to See the List? Allen West certainly took a lot of heat for his comments of April 10, 2012 but like everything else, many people stand on their opinions without bothering to support them. Today I want to prove to you that the correlation that West was drawing between the Congressional Progressive Caucus, and socialism is absolutely correct. First let’s attach the most current list of the CPC that I was able to find. The list was not dated but I believe it is from the 112th congress. For now let’s draw no conclusions from this list. 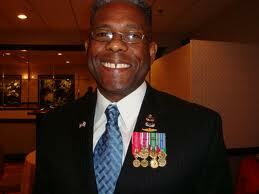 We will vindicate Allen West later. This is simply a list of the CPC. I would like to add that Nancy Pelosi and Barack Obama are both former members, however. OK if we were to stop right here then both Allen West and myself would be left swinging in the wind. 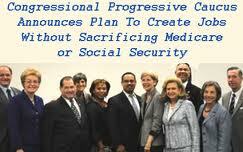 Just because someone belongs or did belong to the Congressional Progressive Caucus, it does not necessarily mean they are socialists. So far that is simply an allegation and we have shown no proof. I am going to give you just a taste of a very powerful report that blows this story wide open and then you can do further research if you would like. The CPC has deep connections to the Democratic Socialists of America and openly promotes its ideology. The DSA is the socialist organization in America today with thousands of members working to bring about the end of our republic as we know it. For anyone who is interested in researching this topic, you can make very deep connections between these two organizations. The source of my information is an excellent place to start. But, in a matter of 30 seconds you won’t really need to do further research. I will make the correlation for you. NOTE: THOSE IN BOLD ARE ON BOTH LISTS. Allen West is not crazy. Do you find it suspect that many of the same names from the CPC are also admitted members of the Democratic Socialists of America? The lists are from two different sources. One is an accused socialist group, and the other is an acknowledged socialist group, but notice how closely they match. The lists are from two different congresses. Comparing the 111th and 112th congress is the reason for some of the disparity. The list for the 112th congress is larger, which would seem to indicate growth in the movement. We are now in the 113th congress so more “progressive” momentum could be happening as we speak. I think in all fairness we must consider those who are potential socialists who are still very much in hiding. The people on these lists will have a hard time denying it, but there are others. So what have I proven today? What if there really are 78-81 socialists in congress? Is socialism a dirty word? We all know the dangers of communism. Right? I am going to keep beating this dead horse until people listen. This is a battle that this country must not lose. If we lose this battle then we lose our rights. My freedom means everything to me. My opinion is that anyone who has a favorable view of socialism probably hasn’t done much research into world history. Don’t want to listen to me? That’s fair enough. How about checking out a FREE documentary that is presented by well-known historians, political figures and journalists?